Quality. Innovation. Convenience. Designer Face Frames make it easy to have classy, designer-inspired looks that set your cabinetry apart from the rest. The Dart Inset Molding Face Frame (FE-2 Dart) makes a statement with beautiful egg and dart detailing that is accentuated well with our glazed finish looks. 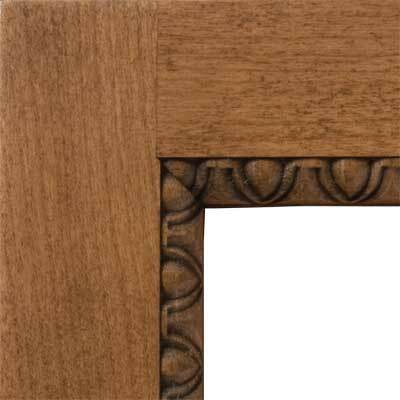 Inset Molding is available in Beech, Cherry, Maple, and Walnut. F25: Available with Water-based finishing. The back sides of the frames will not be finished. If you require finished backs please indicate that on your quote and order.